Refractive error (the need for corrective lenses/glasses). Take responsibility for developing effective learning strategies. Individually and as part of a team, evaluate behaviour of self and others. Communicate effectively to manage conflict, brainstorming and encouragement of others. Describe outcomes from managing the problem effectively. Interpret complex information into an appropriate mode to inform others. 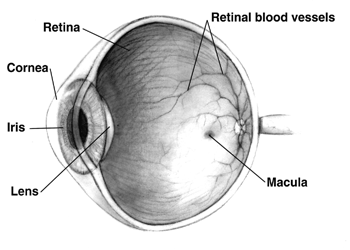 Risk factors for eye disease and those most at risk. Programs that aim to decrease risk factors. Social and monetary costs associated with decreased vision. This page was last edited on 13 February 2018, at 05:54.